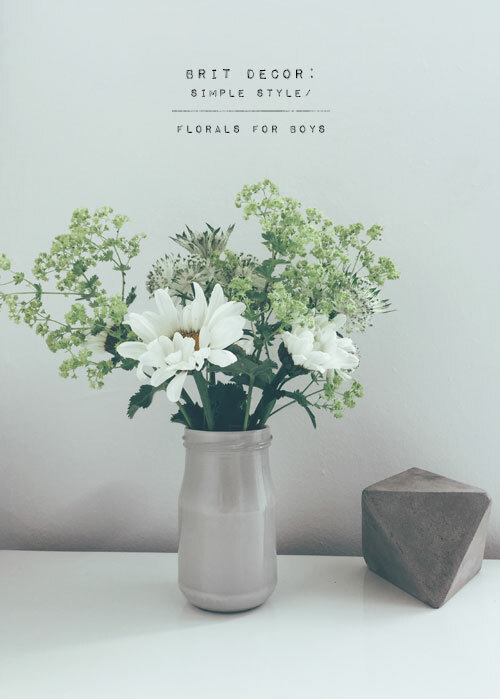 I am all for stomping over traditional stereotypes and shaking things up a little, which is the reason why I felt compelled to create this 'florals for boys' feature. 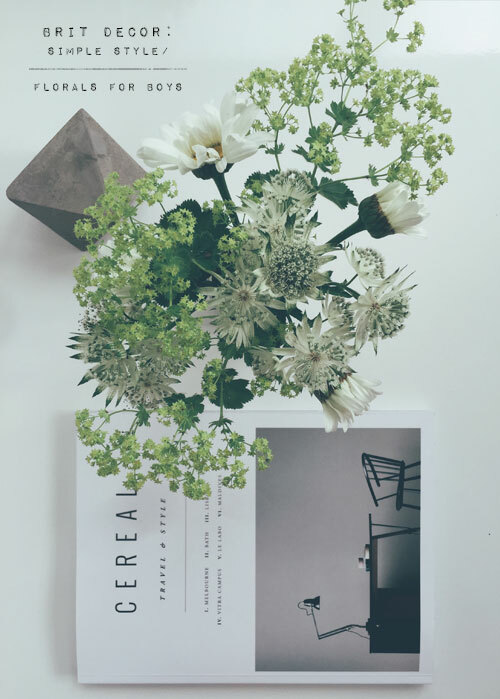 It's a simple concept but one that should have more airtime; florals in the home can be masculine too. Just look at the artistry of florists like Jeff Leatham and Duncan McCabe, and the green fingered artistry talks for itself. 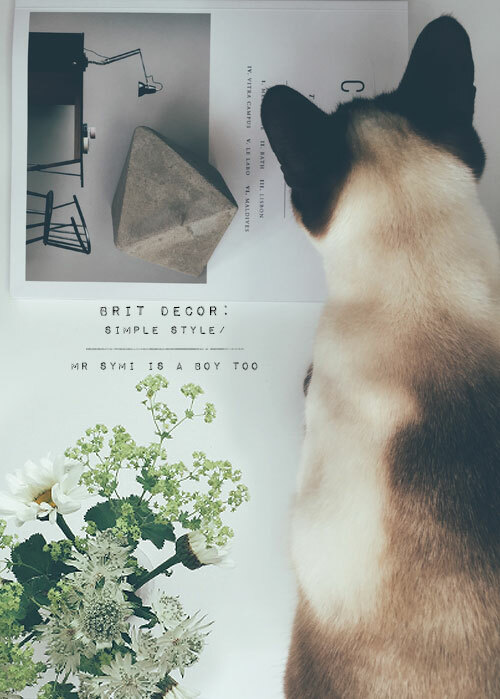 I am still frequently surprised by the notion held by some that florals are feminine - full stop. 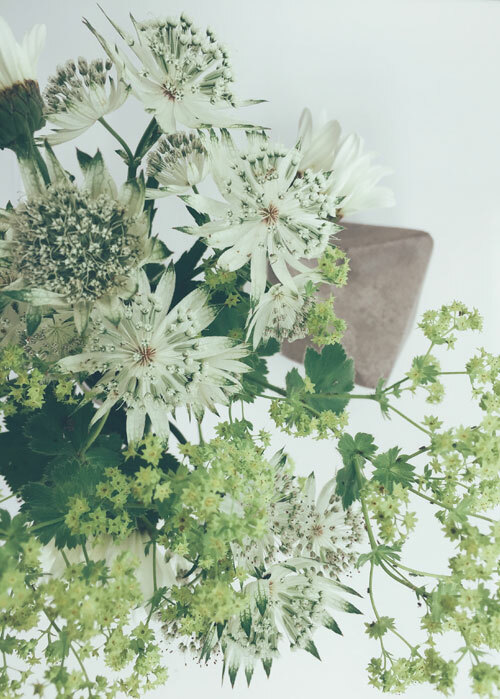 I have no problem with a vase of pastel pink roses sitting on my desk, because the scent these bring into the room really awakens the senses and aids my thought process, and in technical terms, the architecture of each bud and petal is uniquely intricate. 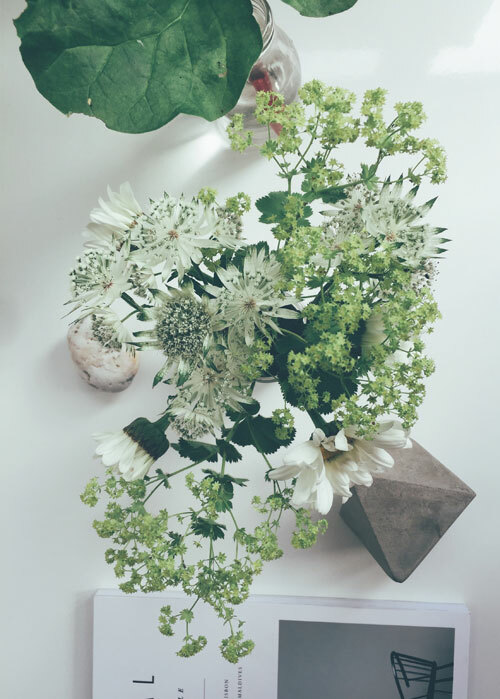 'Above' I have put together a simple vignette of flowers, fresh from my cottage garden, which comprises of whites and greens, not forgetting the tiny flashes of yellow courtesy of the huge cheery daisies. 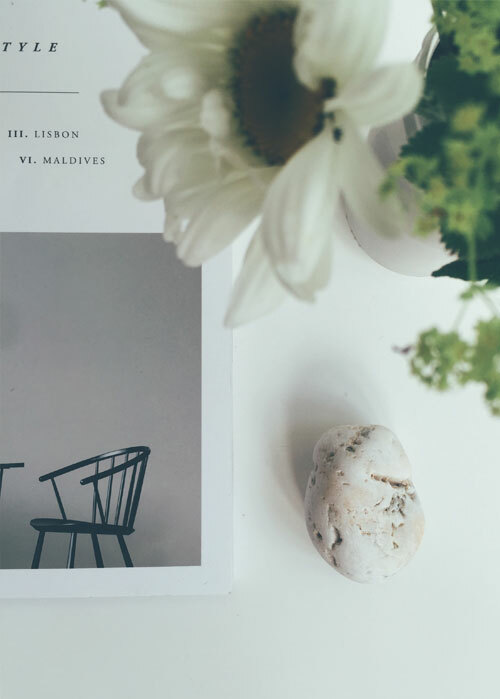 The omission of pinks immediately brings this selection into a more neutral, paired-down palette, and I have mixed some harder materials into this shoot such as my favourite concrete geo shape and a textured white pebble from my travels, for that grounded look. And of course, there's the painted grey jar vase I whipped up last year - for good measure.